Like Altai Krai’s economy depends on agriculture and raw material extraction, your loved ones in Barnaul depend on you to remember about important dates and sending your regards accordingly. 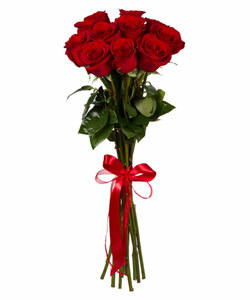 If you forgot about an upcoming birthday or anniversary in your family, Megaflowers can stretch out a helping hand. We can deliver flowers to Barnaul on very short notice due to a network of affiliated local florists. This means your flowers will be sent to the recipient immediately after they are picked from our field and arranged by an expert florist in Barnaul. Sending a meaningful message is easy with a pretty bouquet and a box of chocolates of bottle of wine (yes, you can order add-on gifts here too!) For your convenience, ordering a customized gourmet basket or a stylish vase is as easy as picking a bunch of dandelions in the middle of Altai steppe in June. Providing detailed instructions to our online consultants is the best way to make sure your flower arrangement is delivered on time. Megaflowers provides an optional anonymous delivery; in any case, only the information provided by you is made available to the recipient. Naturally, most of our customers prefer to avail of the free postcard and send warm regards to the Birthday Girl or Boy or the Newlyweds. 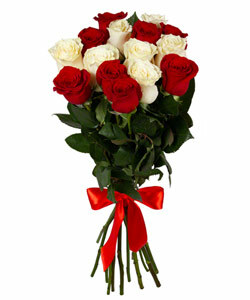 Browse our extensi ve collection of flowers categorized by occasion. Choose a business bouquet – from white roses perfect for a male executive to green roses, rarest naturally-colored kind, to Megaflowers-invented ‘Tsvetik-Semitsvetik’ – a breathtaking vibrant collection of 257+ roses of eight colors in a bucket. Find a perfect flower arrangement for Her on Valentine’s Day – such as Queen Margo made of pink tulips wrapped in green tissue. Megaflowers effects flower delivery to Barnaul since 2005 and hopes to become your favorite online flower shop.